The “Jacked Up Old Man” won his third Climb to the Castle up Whiteface Mountain on the race’s 10th anniversary, edging Russell Currier by eight seconds, and a 17-year-old CSU skier held off her twin sister and an SMS junior in the women’s race. Is there room at one ski center to support two junior development programs? In central Oregon, it depends on who you ask. In February 2015, Bend Endurance Academy requested to use the Mt. Bachelor Nordic Center during periods of low snow. The resort denied the request, citing it was already at capacity. After being business-run for the last 40 years, the Weston Ski Track is now in the hands of the state of Massachusetts after the DCR decided to assume management this summer. Local skiers talk about the impact and potential implications of the decision. A day after turning 58, FasterSkier contributor Peter Minde shaved 6 seconds off his time in the insanely tough Climb to the Castle. Here, Minde shares three workouts that have helped him get the most out of each week, while balancing work, family and training for skiing in New Jersey. Note: Two photo captions in this article have been corrected to identify Sun Valley’s Rogan Brown as the men’s race leader around mile four. 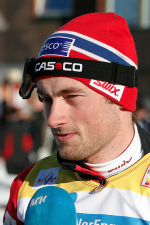 When it comes to matters involving Petter Northug, Jr., one of Norway’s greatest skiers, reactions are mixed, but the controversy surrounding the 29 year old and his decision to opt out of the national-team’s terms remains. As of Tuesday, both parties were still standing their ground. The Casper Mountain Biathlon Club has broken ground on an ambitious plan for a 30-point biathlon range and 10 kilometers of new homologated trails — at nearly 8,000 feet above sea level — for both adaptive and able-bodied skiers. It started with the renovation of a biathlon range last year. Now the Bridger Biathlon Club in Bozeman, Mont., is pushing to purchase both Bohart and Crosscut ranches within the next three years and plans to launch a $10 million dollar fundraising campaign to do so. In a surprise move, USSA President Tiger Shaw announced Wednesday that the state-of-the-art Center of Excellence in will be put up for sale and rhythmic movements, known as Prancercise, will replace traditional strength training for all USSA athletes.